When you come from orderly Denmark, occurs northern India in the degree messy and disorganized. But there is a system in chaos, and with the right guidance you quickly get a fascinating insight into a very different life and culture. Few places in the world is so contrasting as North India, featuring buildings and scenery that fills the senses - but also on poverty and deep poverty. The city Delhi is for most visitors the first meeting with North India and it is a highly contrasting one of its kind. In the Old Town, Old Delhi, you will experience India from both a festive, colorful, exotic, exciting and poor angle in the narrow streets, where there is a hustle and bustle of another world. This baked bread in the open, and a myriad of exotic spices are hawked. The best way to experience Old Delhi as a passenger in a bicycle rickshaw in which the place known driver driving through the most exciting neighborhoods. The new district, New Delhi, the capital of the world’s largest democracy, Indians like to call their country. New Delhi is completely different than groomed Old Delhi with its wide boulevards, green spaces and modern buildings. The 42 meter tall India Gate triumphal arch that was erected in memory of the nearly 100,000 Indian soldiers who died during WWI, is a must during a tour, as is the Raj Ghat memorial park in honor of the modern India’s founder, Mohandas (Mahatma) Gandhi. Few buildings in the world is rightly so well known and admired as the Taj Mahal, located in the city of Agra on the banks of Yamuna River. The huge palace is strictly symmetrical and built in white marble and studded with semi precious stones and pearl. Is the most beautiful of the places in the surrounding gardens, where the building is reflected in a pond. The reason for building the Taj Mahal is quite touching. It was built in the 1600s of great Mogul Shah Jahan as a final goodbye to the favorite wife Arjumand Banu Begum, who died in childbirth after giving birth to the couple’s fourteenth child. Great Mogul would construct a tomb so magnificent that the world would never forget his deceased and beloved wife, and it is fully successful. Therefore, the Taj Mahal is also called the world’s greatest monument to love. It took more than 20,000 laborers 22 years to complete the huge building complex, but it’s nothing compared to the many tourists who annually flock to from around the world. 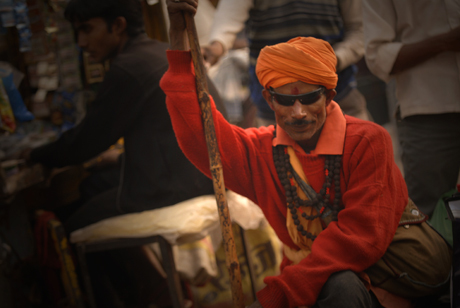 Of all the exotic places in North India Varanasi is perhaps the most interesting of them all. Varanasi is Hinduism’s capital city and the holiest of India’s seven sacred cities. Additionally lies Varanasi on the banks of the Ganges, which is the holiest of all holy rivers. Therefore, pilgrims flock to the city, and for a Hindu is a visit to Varanasi as big as it is for a Muslim to go to Mecca. As tourism is the most exciting to witness the Hindu morning bathing in the Ganges. The river is considered so sacred that a bath in this supposedly washes away all sins and ensures a better life. Bathing takes place according to certain rituals, and it’s a great experience to sail in a boat along the river and watch the pilgrims bathing.In the evening, many tourist boats on the water again. Here it is a more morbid pastime - namely to consider the many funeral pyres along the Ganges’ banks. Many sick and old Hindus come to Varanasi to die and be burned at the holiest place of all. Most powerful is it to see them in the darkness, and the relatives do not mind crowds, if only you do not take pictures. The broader story of the photographs, as the one above, is displayed in photo essays on the website of the photographer.